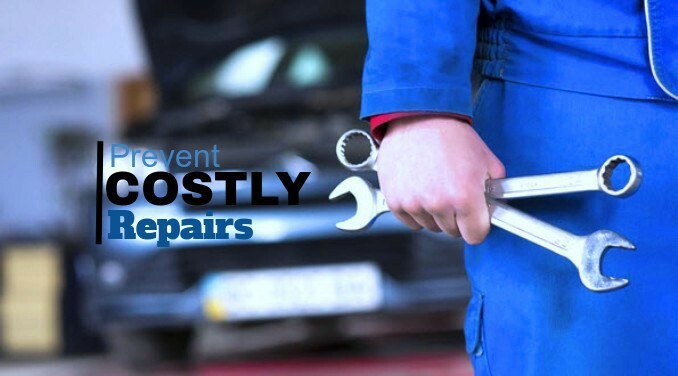 If you want your car to last a long time like my neighbor's car, then stay tuned because today I'm going to show you simple maintenance items to perform on your car. So it can last forever. Well maybe not forever, but there's nothing wrong with trying. Simple checks that you can make on your car at home and I would recommend doing this at least once half year. If not more often. That certainly some of these items you will want to check more often than once every six months but these are simple checks that you can do at home to make sure your car is in good running. So a few things you want to know about your car that are must knows to avoid costly repairs on your car. The batteries last about three years, that's it whether passes or not it's going to let you down in the next year. What happens is with all the electronics that's going on in the car?When you start your car, you're running solely off your battery. If your battery is weak, it turns your starter over slower it draws more power. When your car does run, your alternator kicks in, and throws extra amps at that battery to try and recharge it. All those things is current that's going through your car that is very spiking high and low. To eliminate a lot of electronical problems, just stay on top of it and replace your battery on a timely manner. What it is? it's an electric fuel pump in your tank that pumps fuel to your engine and it's a whole bunch of tiny little windings in there and it actually uses the gas to keep it cool. What happens when it gets below a quarter? it's not enough fuel sloshing back. To keep that pump cool, especially if you're on a long road trip. If you run it right dry and then go to a gas pump to fill it up. Now you've got a really hot fuel pump. when you're pouring 15 degrees celsius fuel on it, it's a big shock for it. If you do that too many times, you're going to burn out your pump prematurely. There's four or five six hundred dollars gone for no reason. So just keep that tank above accord. If you know the history of your car it's okay to do transmission flushes. but, if you do not know the history of your car, and it's a high mileage car. Be very careful, I don't recommend changing your fluid. The reason is your transmission is full of oil passages. Overtime little bits of dirt gets stuck in corners here and there. Where they will probably stay until the car is at the scrapyard. The problem is when you put new fluid in new transmission, fluid has detergents in it to keep a transmission clean. And what it will do is wash all it, grab all those little pieces that are stuck and take them and put them in one spot that will be a variety of different problems. If the road conditions aren't perfect or ideal especially in the winter, and what you want to leave your cruise control off?! What you want to do is when you do hit a drift unexpectedly, just let go of the throttle and close through it. Don't lock up the brakes, don't fight the cruise or panic. That one extra step is what you might need to keep control of your car. Keep the car pointed the steering wheel in the direction you want to go and look at where you want to go. If you have to worry about the cruise, that's one more reason that you could end up in the ditch. The tires just a little bit bigger. The problem is when you get a flat especially on a pickup truck, it's usually the drive tires that go flat because they're doing all the work. Now if you take your spare, your spare is still the original size and a lot smaller. What's happening is you have more than likely if it's 10 years or newer, it's got a limited slip differential. If you have one big tire and one small tire that differential is thinking that the one tire is slipping and it's trying to lock this tire up. So that in a matter of about 10 kilometers or 10 miles you will have destroyed your diff. So if you get a flat on the rear, make sure that if your spare tire is not the exact same size. you can check the numbers on the side. every tire will have the numbers written. If you don't understand the numbers just roll the tire up aside. If it is a different size, make sure you put the oddball size or the spare on tire that are not doing the work. So on a rear-wheel drive tire you want to put the tires on the front. On a front-wheel drive tire you want to put your spare on the back. So that as the drive tires are still turning equally. When should I replace my windshield? This may seem like a rhetorical question but I assure you, it is not. Most states mandate by law the condition in which a vehicle's windshield must be in to operate safely. It is obvious to most when a windshields replacement is necessary but I am sure, like most, you have all passed the car on the road whose windshield was shattered so badly you had to wonder how they could see to drive. So clearly there are those who do not realize when it is time to visit their local Auto Glass Company to have their windshield replaced or repaired. If it's cold outside and the roads are a mess. When you park your car do not kick your bumper to knock off the sludge. What's happening is the plastic once it gets below freezing gets very brittle. And if you're kicking your bumper the way it's held on is a whole bunch of little holes with little tabs on it that hold your bumper in place. If you kick it, you might not even know it. But this is very thin here and you could very easily crack it. Let alone put a puncture right in your plastics. Leave your plastics alone when it gets warm or it gets bumpy it'll fall off itself or take it to a car wash and wash it off. But do not kick cold plastic bumpers. Your car overheats and you've got your rad cap off safely afterwards but your engine is still hot. Never ever put cold water in a hot engine. It will go in the cold and the hot don't mix the hot drinks too fast and you could run a big risk of cracking your block or wrecking your head gasket. If you absolutely have to get going put as hot water and as possible into your rod and you should be good to go. If your car battery dies and you need a boost do yourself a favor and call roadside assistance. Don't get a boost from somebody who doesn't know what they're doing. I'll tell you why a lot of the electronics, and our cars now require a lot. but larger alternators to run our tvs, our heated seats, our cameras and everything else. When you have a dead battery your alternator as soon as it realizes when your engine's running that the battery's dead it's giving its full power to try and charge that battery. If you have a boost vehicle, it's already doing that. Now you've got two alternators that are trying to feed this battery saying i need to give a full power to charge this battery it leaves a lot of potential to wreck very delicate computers inside the car. So do yourself a favor with roadside assistance. If they mess it up, you can blame them they have insurance, they have you have a much better chance of getting your money back out of a blown ecu than you do from a stranger. And it goes the same way if you're boosting somebody else, you know what that time has passed. If you absolutely have to do it don't leave your car running. If it won't start it with your car, sitting idle. Don't start your car to start somebody else's vehicle. Computer. One of those sensors that i don't agree with is when to change royal. Now, a lot of them measure when to change your oil by how many starts, two stops and your type of driving. It doesn't actually measure the oil or the viscosity of the oil. And i've ran into it a couple times. So i would change it every five to seven thousand kilometers, but that's me personally. If you're using synthetic you can go longer. Just change it more often. Because, there's still contaminants that get in your oil filter still breaks down, and oil is cheap compared to replacing an engine.